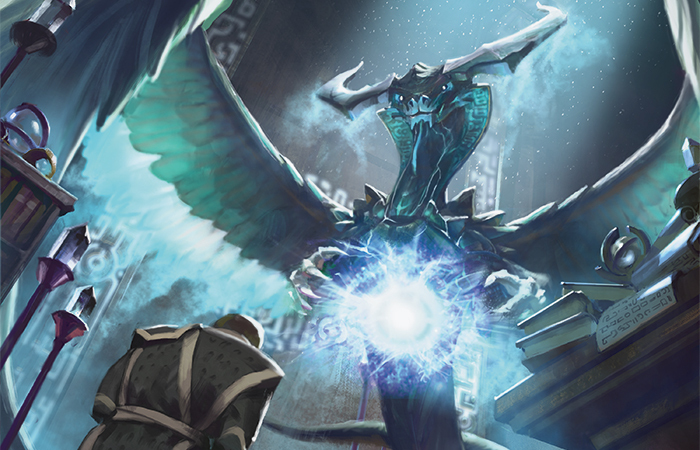 Yesterday, we showed you the contents of the Ugin's Fate boosters, promising to talk more about just what's going on in the art today. Well, today is today! Yay today! There are two basic twists in the alternative art for the cards found in the Ugin's Fate. The first is that the reprints from Khans of Tarkir got all dragonified. Which is totally a word. 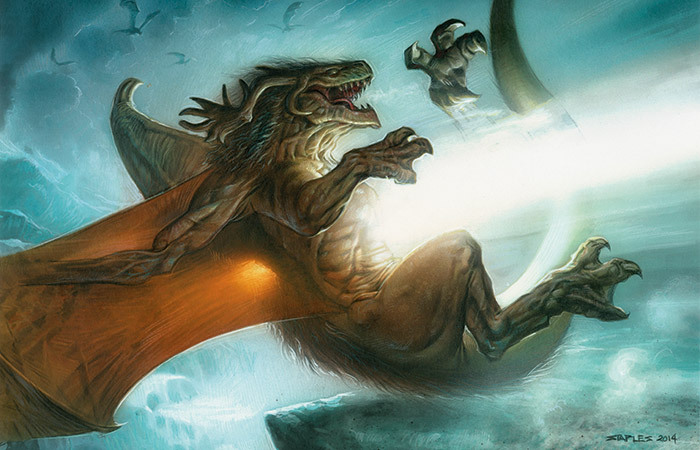 And a thing we did to the art in order to show off the alternative timeline where Ugin was saved by Sarkhan Vol. For example, check out the old art for Altar of the Brood. Now check out the alternative-timeline version. 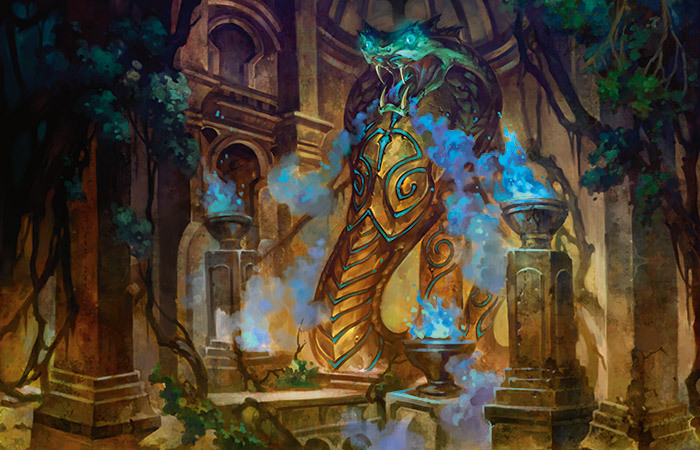 You can see the Naga in the art replaced by a dragon, signifying the importance placed on dragons in the alternative timeline. 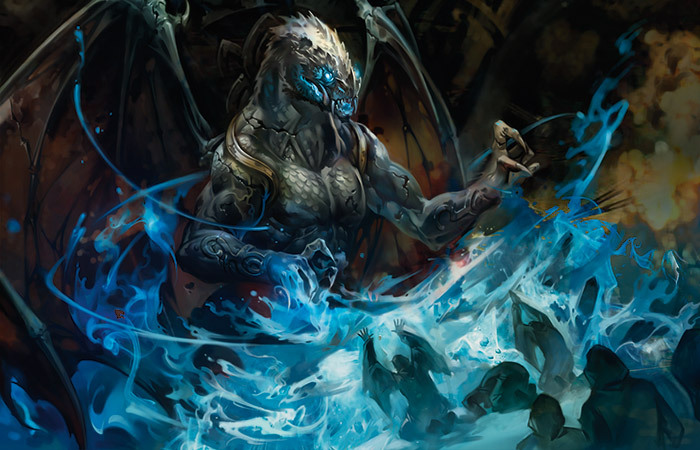 Similarly, you can also see a dragon added in Smite the Monstrous, where a Loxodon was getting smote in Khans of Tarkir. My favorite, however, is the subtle change to Jeering Instigator, which used to be to be running away with Sidisi's hat, but now is running off with Silumgar's bracelet. Now, what about the other half of the cards? The ones from Fate Reforged that didn't have a non-draconic version printed? 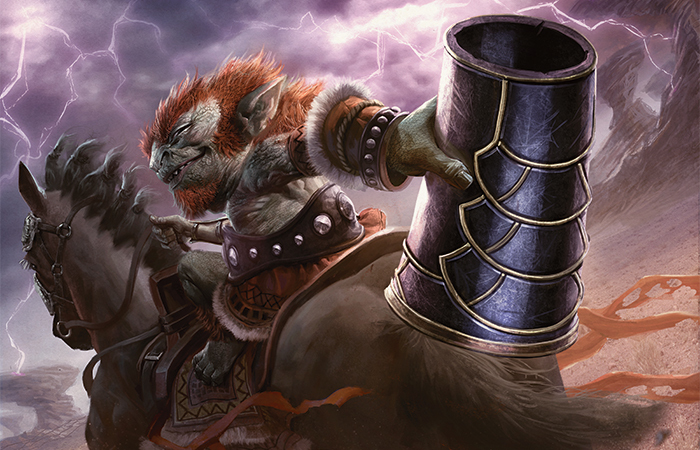 The twist there is that those cards got Ugin-ified (definitely not a word). 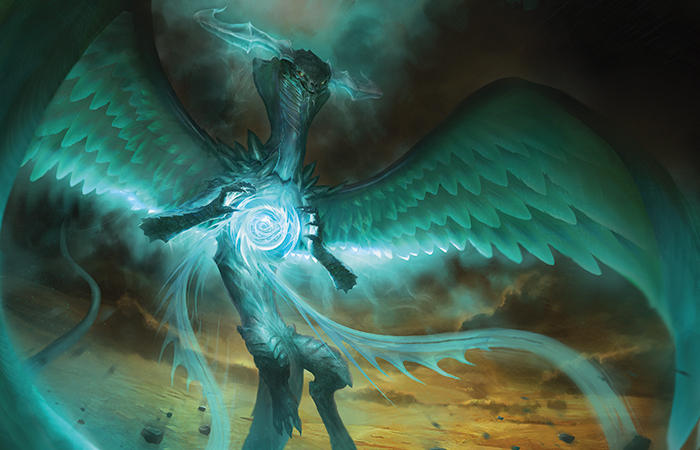 For example, Soul Summons shows Ugin doing the soul summoning himself. 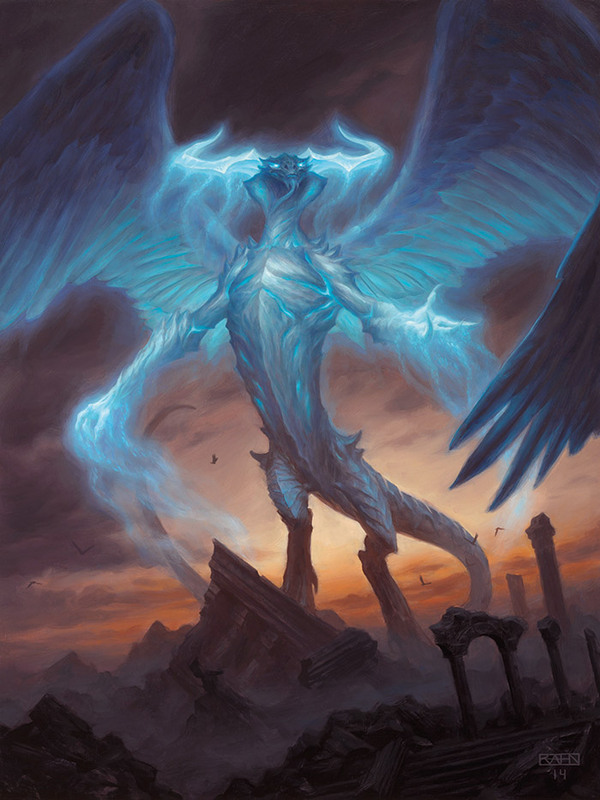 Likewise, Mastery of the Unseen lets us peek in on Ugin in a sanctum studying and creating magic, manipulating a ball of glowing blue-white energy. And so on, and so on. Each of the 26 nonland cards in the Ugin boosters received one of these two treatments depending on if they were from Khans of Tarkir or Fate Reforged. Well, with somewhat of an exception for this guy, who really can't get any more Ugin-y (also not a word), but can certainly get another treatment.